Sign up and CHECK ETOOLSET tools for e-commerce. What is and how it works?. Business chat application allows your clients to communicate freely with a customer service via chat or attractive form on the website. In other words it is a small window on your website that actually allows you to communicate in real time with each potential customer visiting your website or online store. But that's not all. 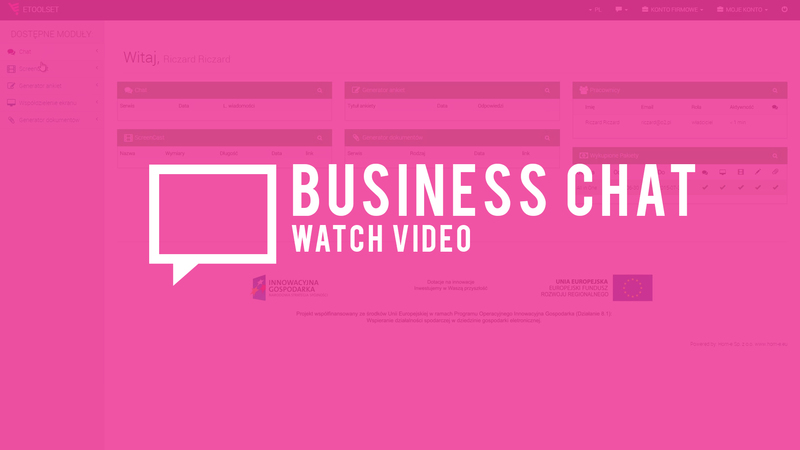 Business chat can be combined with our another application Coobrowsing. In this way, your customers can share their desktop with you. Then you can help your customers to create new user account, make a purchase, fill out a form or find specific information. Take control over customers’ web browser regardless of its location. It is simply and modern tool. See how Business Chat works. Try it for 30 days for free. See how Nextgen surveys & polls works. Try it for 30 days for free. What is coobrowsing? 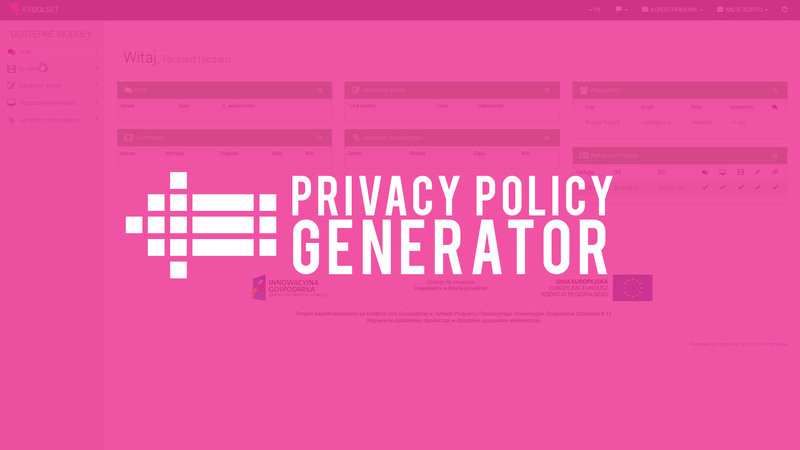 This is a tool that allows you to share the screen of your computer with other person. This modern solution is increasingly used by domestic companies. Why ? Because it allows solve a problem which can not be explained via chat / phone in a few moments. But it is not the only use of Cobrowsing. Imagine the situation when you make a cobrowsing session in cooperation with your employees or business partners. Ask yourself how much you or your company can gain thanks to our application on your website, service, portal or online store. 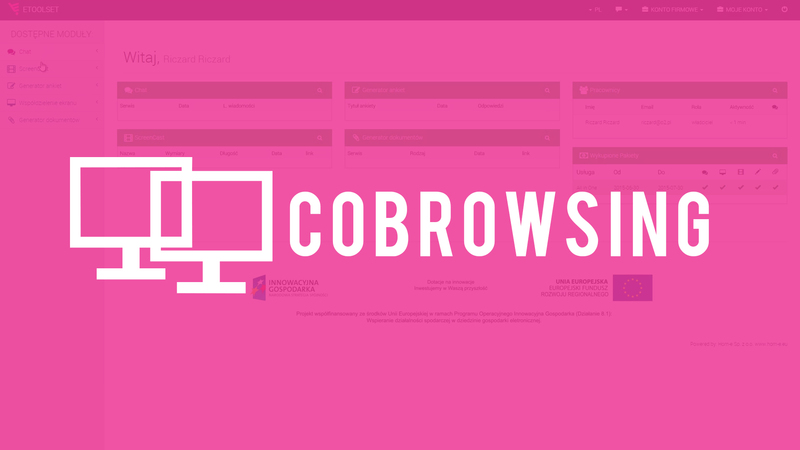 Cobrowsing app is designed for ease of installation and service. Installation takes just few moments and is done just by pasting two lines of code into your website. Obviously, it is necessary to register and have an active account on ETOOLSET. Check it out, sign up and test it 30 days without any obligations. See how Cobrowsing works. Try it for 30 days for free. Would you like to create a simple video tutorial or give detailed information about app features ? Maybe you need a tool to record tips to plan for your next eLearning project ? Sign up and check ETOOLSET Screen Cast. Now you can shoot a video and share it on Facebook, YouTube or your own website. 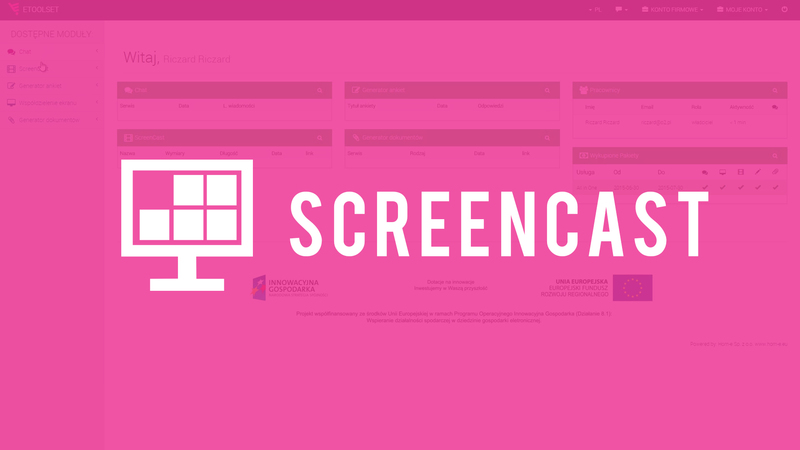 See how ScreenCast works. Try it for 30 days for free. ETOOLSET is a brand of the HOM-E company that delivers applications and solutions for e-commerce industry. We specialize in designing systems tailored to internet sales, marketing, customer service and commercial transactions (payment and mobile systems). If you are looking for tools for your online store, B2B / B2C / C2C system, please contact us. If we do not offer what you need, we guarantee that we will have it immediately after your contact. Start working with us today. Contact us in the UK, Germany and Poland.